If you've wanted to participate in the Corinthian Classic Yacht Regatta but have hesitated because spinnakers weren't allowed, Grab Your Spinnaker! 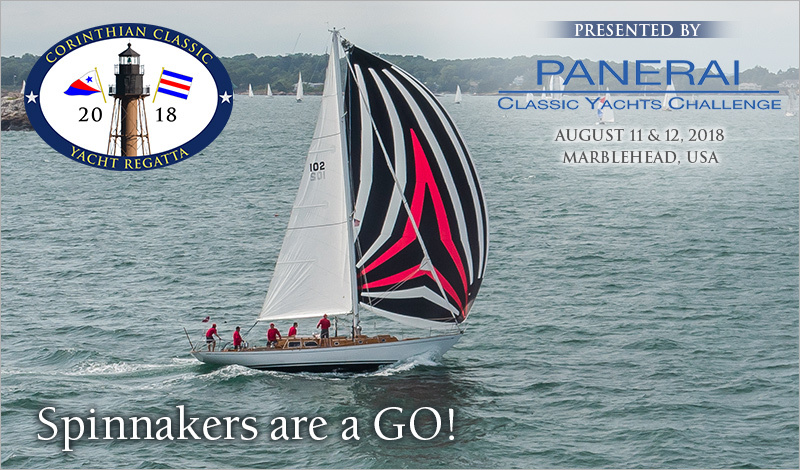 This year, yachts that meet the North American Panerai Classic Yacht Challenge Series requirements for eligibility are offered the opportunity to race under spinnaker at the Corinthian Classic Yacht Regatta, August 11 & 12. Scoring will be done from the 2018 CRF II Spinnaker Ratings. Spinnaker entries will also be eligible for trophies in the 'Spinnaker Section' within the Classic Wood division of the CCYR. If you are going to be racing 'Spinnaker', please enter as soon as possible or message us as to your intent.